Billy Rose 1st Time test pass. 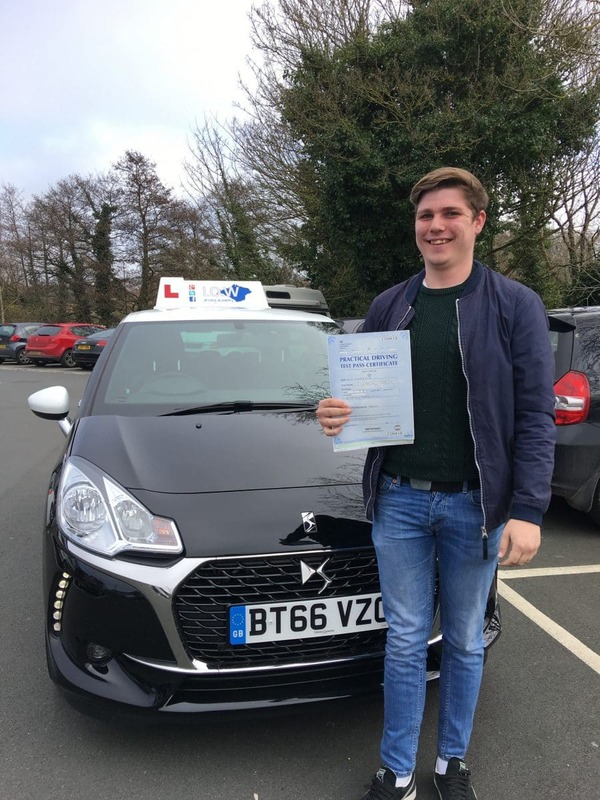 CONGRATULATIONS to Billy for passing his driving test today, Thurs 16th March 2017 at his first attempt with only 3 minor Driving faults. This was a great drive today and you deserved your pass. I’m really pleased with your hard work especially after that dodgy lessons a few weeks ago. We are extremely proud of the quality of our fully qualified DVSA driving instructors who provide the highest standards of training to our students. We teach in a relaxed atmosphere which promotes ease of learning and provides us with a very high first time pass rate.